If you’ve got three or more children or you just like large SUVs, Mazda’s CX-9 should be high on your look-list. If you’ve got three or more children or you just like large SUVs, Mazda’s CX-9 should be high on your look-list. 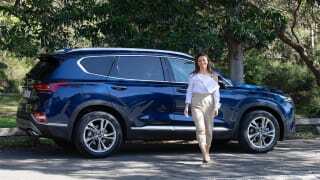 It’s been Mazda’s flagship vehicle for a good few years now, and is a proper seven seater, not an in-betweener, in the same category as the Toyota Kluger and Kia Sorento. It was interesting to test drive the CX-9 this week because last week I had the CX-8 - also a seven seater, but a bit smaller - so it was good to note the differences between the two. 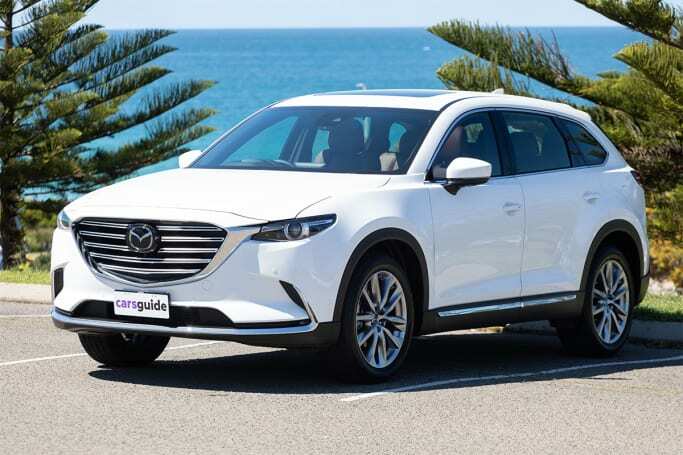 This 2019 CX-9 model has had a few updates, and is the first time we’ve seen the introduction of the Azami LE - which is now top-of-the-range, over the Azami. That’s the model I drove for a week with my family to see how it performs in actual, everyday real life. It’s definitely a larger car than the CX-8, you can feel that it’s more solid, markedly heavier to drive and also heavier on the steering wheel. It’s a big car and you know it when you drive it. However, Mazda has certainly made driving such a big car as easy as possible. The handling is beautiful, the drive is smooth, the gears change quickly and everything is really quite a breeze to do. I was able to get this CX-9 into parks I was surprised to even fit in. You do get a reverse parking camera, front camera and 360-degree view camera to help you out. The turning circle is large, you'll get used to doing three-point turns in this car. There’s a 2.5-litre four-cylinder petrol engine, and some might think that’s not enough for such a large car but when driving it, there’s enough power to get up hills quickly, it cruises along the open road and it uses less fuel than some of its competitors in this category because of it. The Azami LE is only available as AWD which means you’ll get good traction on the road. There’s a lot of room on the inside of this car. Third row passengers will be happy they can fit without angling their knees sideways, it’s a proper third row and passengers will be comfortable. 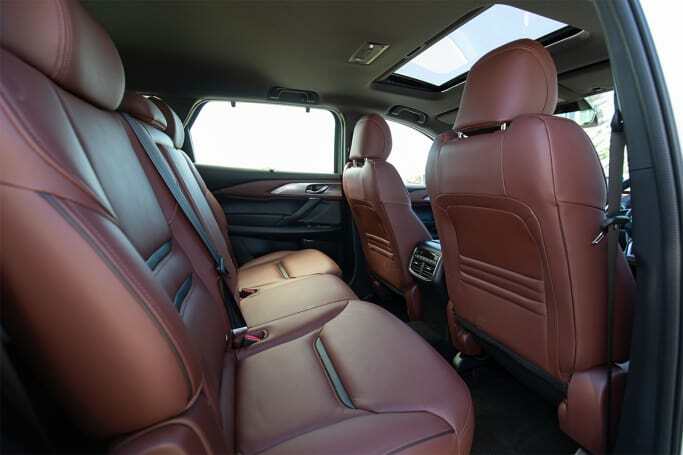 It could be lighter back there, because the sunroof (that can often make it feel more spacious) is all the way down the front, but as far as actual room goes, there is enough. My two children aged five and seven fit super comfortably into the middle row, and you can get a third child’s seat in there, too. I fit two boosters and a baby capsule. Adults won’t have any issues fitting in this row either, there is loads of legroom and I drove a few friends to the station one afternoon after the footy grand final, and didn’t get any complaints, even though their team had lost. The front is also large and breezy, with lots of room for both me and my 185cm husband. We had plenty of leg and head space and it’s nice and high for a great outlook. Then there’s the boot. 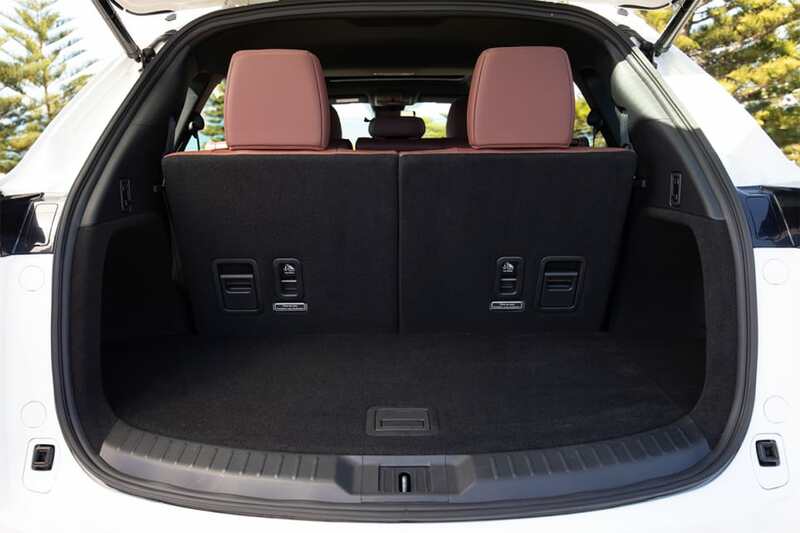 With all seven seats in use the boot is 230 litres, which sounds small but is on par with all other seven-seat SUVs, it’s just the nature of this category. 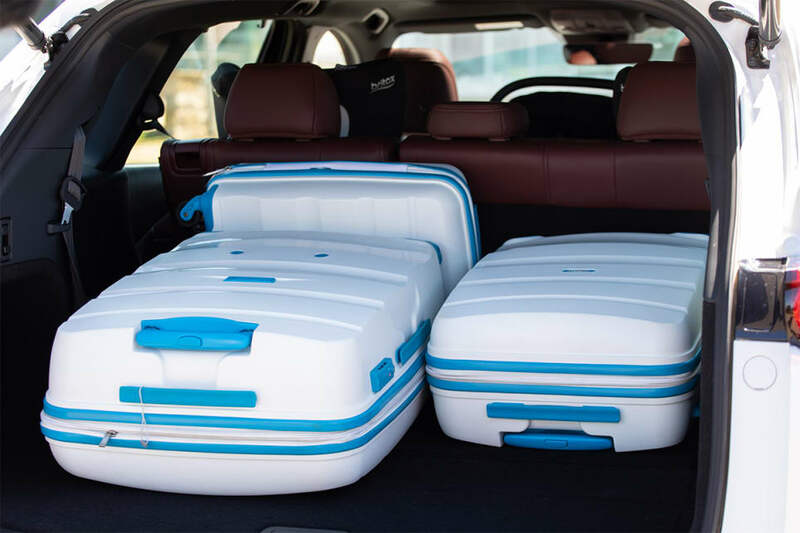 You’ll be able to fit small suitcases or grocery bags and school bags. With five seats in use, the boot opens up to a whopping 810L, which is very large, even in this category. You might get a few competitors coming close like the Nissan Pathfinder, but the Kluger is about a third of the space smaller. So there’s plenty of room for a growing family. This is the same shape as the 2018 model which is a good thing because Mazda's really nailed the exterior for a large SUV. The CX-9 is sleek rather than boxy, with a cool grille and a tapered back end which gives it a sportier feel. Inside is swish in the top of the range Azami LE. You’ll find nappa leather seats which look and feel great, box stitching on the leather steering wheel which feels great under the hands, a faux leather dash that looks good, and a head-up display in the windscreen so you can see your speed and the speed limit without looking down. The centre console is stylishly designed with high gloss black around the gear stick and everything works well and is clearly set out, so it’s all functional, too. It certainly feels premium in here. The boot opens when you hold down a button on the key; super useful because I always seem to be overloaded with bags that are too heavy for my children to help with! The third row pulls up and down easily, the seats are not heavy and I find a manual pull actually easier than a power operated seat because they’re so slow. The second row is light enough to push forward and the children could easily climb into the back row. My youngest did need some help getting in and out because the car is high off the ground. Storage-wise, there are six cupholders in total - two in each row - and a bottle holder in each door. The centre storage bin is fairly average in size, and you’ll get a small spot to throw your phone and keys in the front of the centre console. The middle row gets its own climate control and air vents but the third row is missing air vents. They do get speakers back there, though. The CX-9 is the first of the Mazda fleet to score Apple CarPlay and Android Auto, something that will be available on other models shortly, Mazda assures us. It just means you’ll be able to plug your phone in and be instantly connected to the 7.0-inch multimedia screen - which could be bigger, for such a large car. You can use voice control to make calls, dictate text messages and use the maps feature which is very handy while driving and makes everything hands-free. The audio is also great on this model, turn the music up and appreciate it. Mazda scores top marks in the safety department. 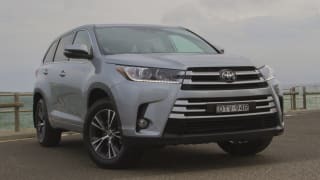 There are airbags covering driver and front passenger and size curtain airbags that extend to the back row, which you won’t find in a Kia Sorento, for example. You’ll also get all the latest fancy safety technology, like auto emergency braking, lane departure warning, blind spot monitoring and rear cross traffic alert (that helps when you’re reversing out of a driveway or perpendicular parking spot. It gets a maximum five-star ANCAP rating. The Mazda CX-9 Azami LE comes in at $66,490 which is around $22K more than the bottom level Sport. This AWD model uses 8.8L of fuel per 100km, and you can use standard unleaded petrol. 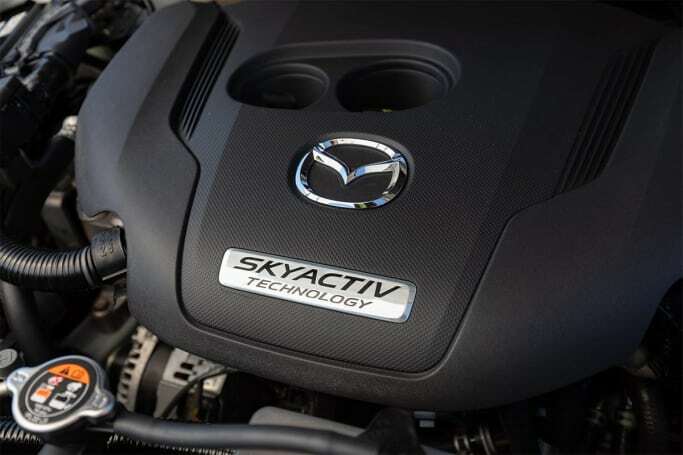 It’s covered by Mazda’s five year/unlimited km warranty and servicing is recommended every 12 months/10,000km. 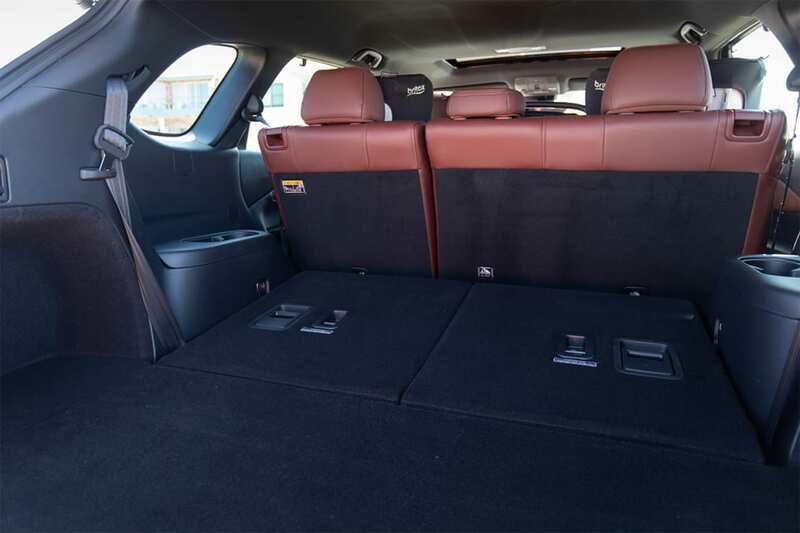 The CX-9 Azami LE turned out to be a very useful, practical and stylish car for my family of four. 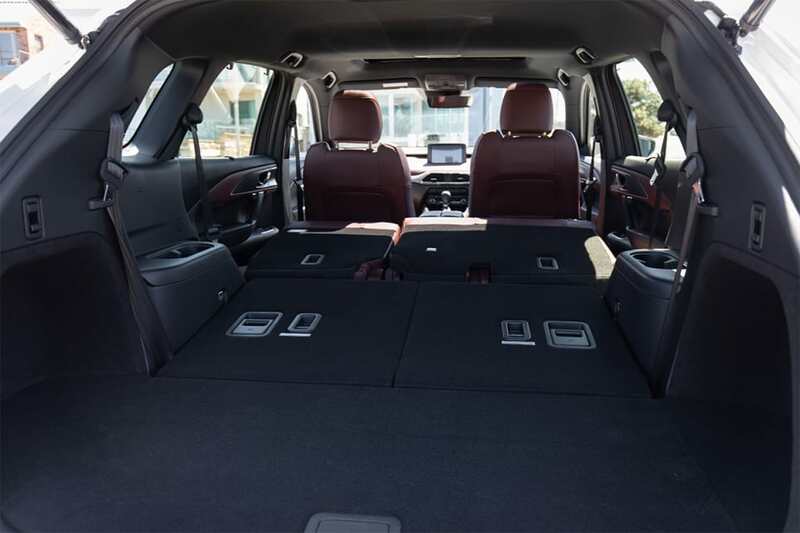 There’s loads of boot space, with enough room in the third row for even fully-grown people, it drives beautifully, looks great and has all the safety features you’d be wanting in a 2019 vehicle for a family. I gave it a family rating of 8.5 out of 10, because I thought it really pushed luxury boundaries in this price range and wasn’t missing much at all. My children also gave it an 8.5, they love being able to fit everyone in the one car! It's back to school this week which means pick-ups, drop-offs, play dates and the rest of the joyous driving which comes with being a parent.